Moving Company. Whenever You Need. We are a fully licensed, insured moving company in Los Angeles. We offer affordable moving services for all kinds of moves, including commercial move, residential move, packing and storage services. As a moving company in Los Angeles, we are renowned for our exceptional customer service and our top of the line moving methods. We have successfully completed a good number of commercial and residential moves all over Los Angeles and across the country. We take pride in our proficiency and our ability to give our customers the best moving experience. We strive for excellence in all our moving tasks by giving our customers 100% satisfaction on all moves. For something as critical as a commercial move, you need the help of the specialists who have been helping offices move everywhere throughout the nation — Sprint Mover! From the start to the finish of your commercial move, our team of experts will work with you to give you the best commercial moving experience. Our specialized moving equipment is designed to safely move your office ware without a dent or scratch. We offer installation services such as assembling/dismantling services to help get your business fully operational again without stress after your commercial move. We can also plan your new office space for you. Residential Move requires exceptional planning for both your time and your finances, and Sprint Mover is devoted to offering means to make your move easy, to fit perfectly with your timetable and your financial duties. Regardless of whether you are moving from one apartment to another in the same state, or you are moving to another state, we offer residential moving services that will help you stay on top of your move. Our residential moving services are affordable, helpful, convenient, and our moving methods will give you the best moving experience. Using Sprint Mover for your residential move will help you save time, and make your move organized. In certain circumstances, putting away a few or the majority of your things when moving can help reduce a portion of the pressure associated with the moving process. We offer storage services to help you store your belongings until you have finalized your moving plans. We can help you pack your belongings into packing boxes and convey them to the storage facility. When the time comes for you to withdraw your things from the storage facility, we can help you convey them to the new apartment, regardless of whether it’s within the state, or to another state crosswise over the country. Leave your packing to the professionals, let Sprint mover do your packing for you. We make packing ease for you, and get your things sorted out into appropriate boxes. Our team of experts are well experienced and have in-depth knowledge on how to pack effectively. During your move, we’ll pack your things into boxes and label them accordingly, to avoid mix-ups and damage. It is very easy to get stains on clothes during a residential move if the packing is not conducted by a professional. We pay close attention to all your properties and ensure that they are packed properly without stains. You have to move Your Home, Office, or Business. Our Crew arrives to make your move easy! You are now Clutter Free! 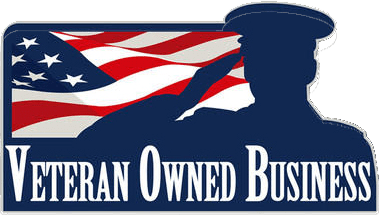 Sprint Mover is veteran owned As a veteran-owned moving company, we maintain the same high standards that have been known to be a major attribute of all veterans. You can always trust us to give you quality services during your transition and long after you have completed your move. As a veteran-owned moving company, you don’t have to worry about any hidden charges with us; we provide our services with transparency and ethical conduct. Being a moving company that is veteran owned and lead, we are motivated to help our customers get the best out of all their moving endeavors. As a veteran-owned moving company, we are well equipped with all it takes to deal with uncertainties that might surface at any point during the moving process. We make a plan for your move, and we see it through to the letter. We know how stressful a moving can be. Leave it to professionals. Get the move done without lifting a finger.